Hey everyone, welcome back to Alex’s Foreign Foray. 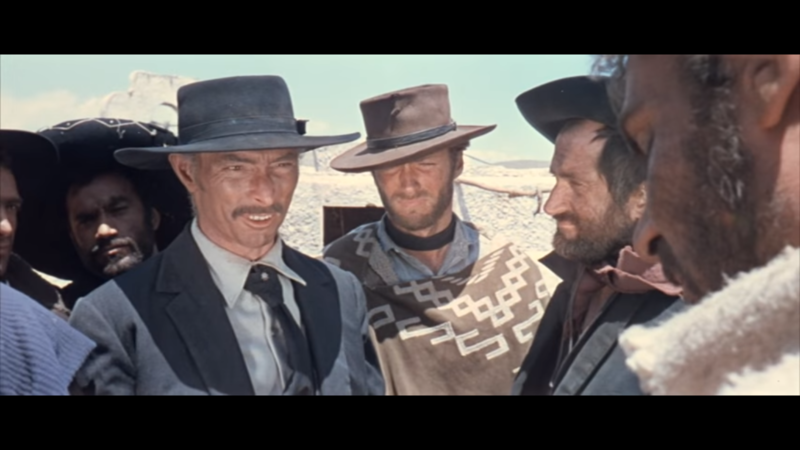 Today’s segment continues our look into Sergio Leone’s “Dollars Trilogy” with the middle film of the trilogy, For a Few Dollars More, from 1965. 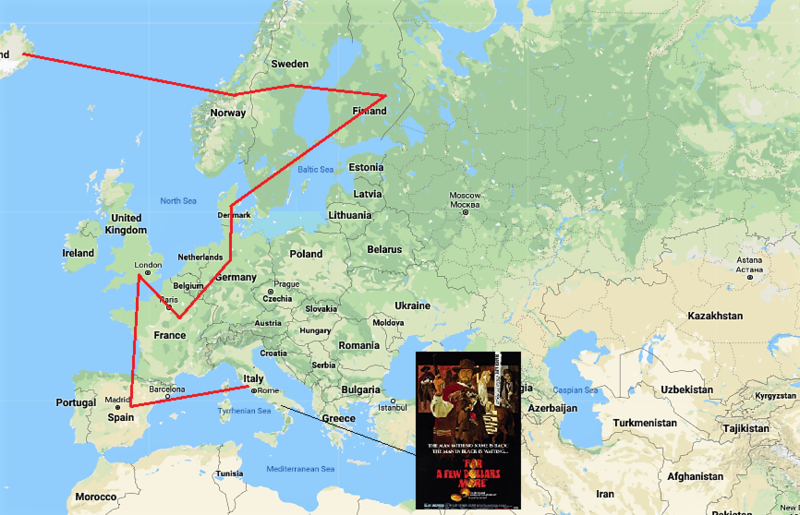 Our journey continues today as we remain in Italy. We’ll be sticking around here for at least another week. We’ll close out the trilogy next week and may stick around for an encore, so stay tuned. 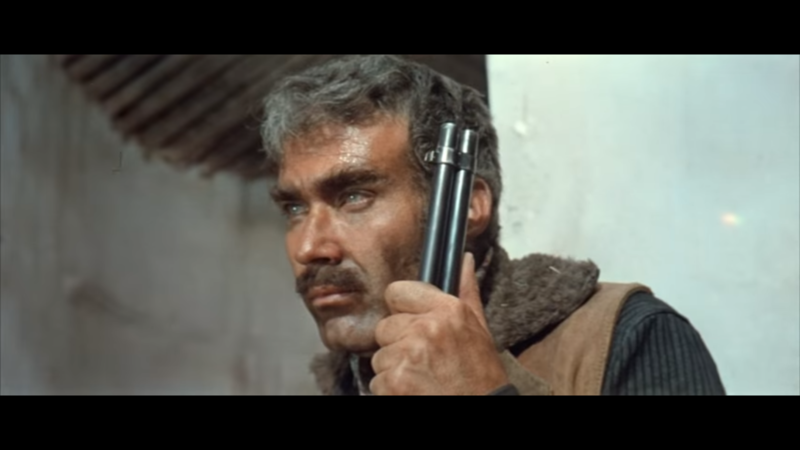 For a Few Dollars More finds the Man with No Name — nicknamed Manco in this film — as a bounty hunter. 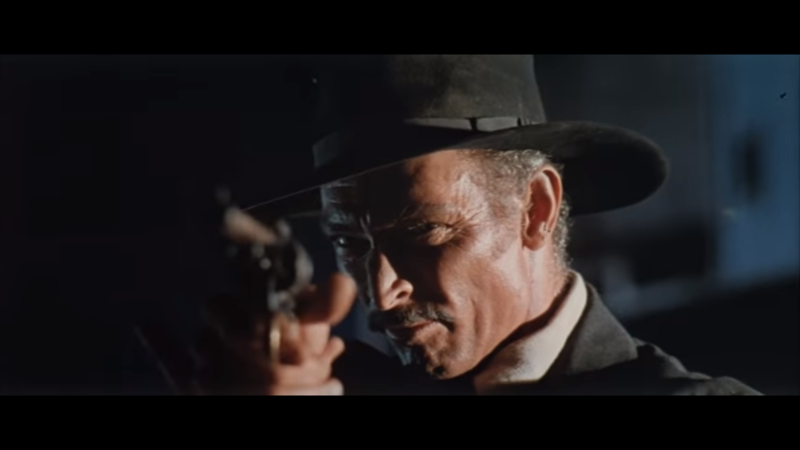 Here, he meets Lee Van Cleef’s Col. Douglas Mortimer, a fellow bounty hunter, who is hunting the same man, the ruthless El Indio. Manco and Mortimer team up to take down Indio and his gang and plan to split the bounties on them all. 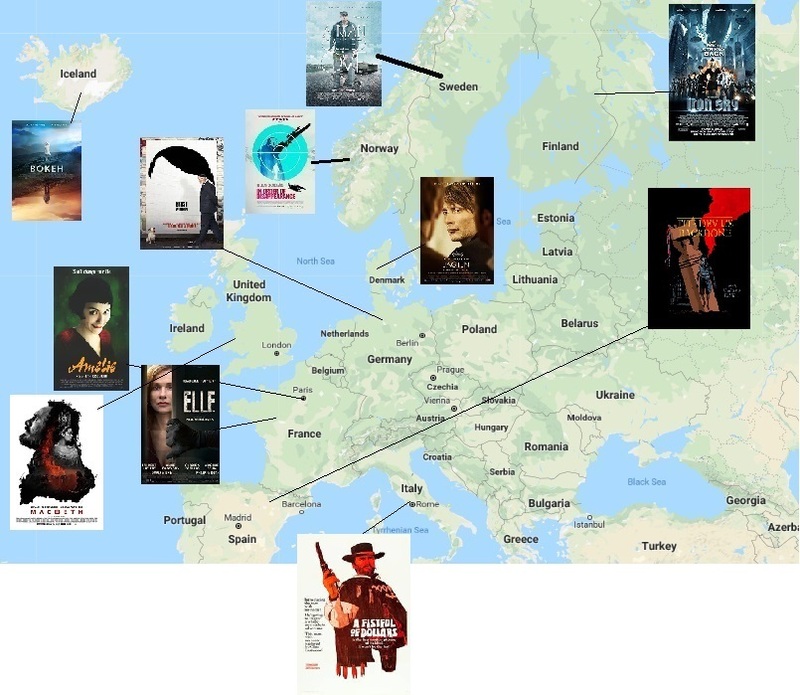 Right off the bat, there are a couple of surface-level similarities to the previous film. Clint Eastwood obviously returns (though it’s not confirmed if Joe and Manco are the same person, I like to think they are). 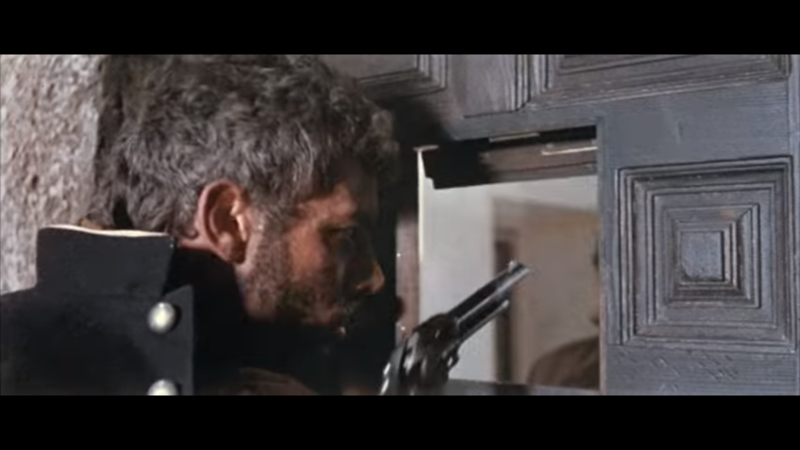 Gian Maria Volontè also returns, although his new character, the cruel Indio, replaces Fistful of Dollars’ Ramon. 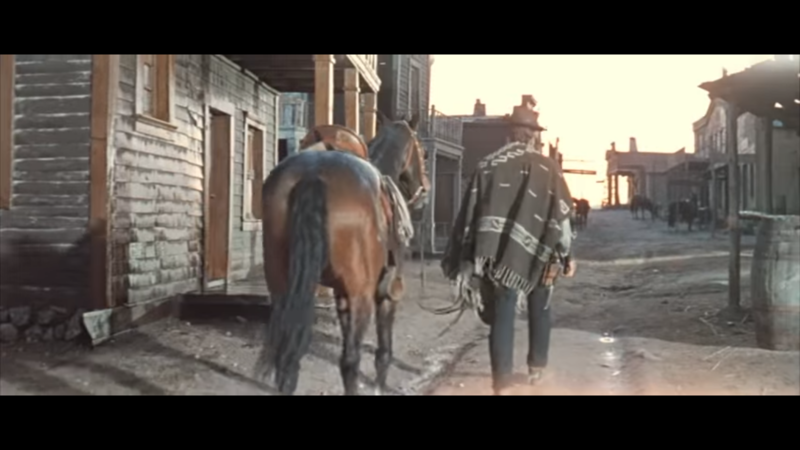 However, while Fistful was inspired by Kurosawa’s Yojimbo, For a Few Dollars More takes the Man with No Name / lone wanderer archetype and applies it to an original story. Like I said earlier, For a Few Dollars More is about bounty hunters. There’s something I’ve always found engaging about western-era bounty hunters. I think that the idea of going on a journey, an odyssey of sorts, across the country to bring bad men to justice is nothing short of endearing. These men aren’t vigilantes, but almost secret agents, armed with a license to kill and nerves of steel. All of the elements that made Fistful so great are back in full swing here. I feel like Leone’s direction is honed more when he doesn’t have to work with a story someone else wrote. The camera seems to move more freely in this one; the action more intense and the overall pace engaging. The shots yet again are gorgeous, with plenty of long takes and close-ups building the world and characters to the fullest potential. One element where I found For a Few Dollars More overtook its predecessor is in its main villain. Indio is sinister and brutal. His gang, while mostly there to back him up, all are ruthless killers in their own regards, making Indio seem that much more of an unstoppable force (since they follow him). There’s a scene early on where Indio’s evil nature is on full display: he’s like a predator, eagerly playing with its food before pouncing, knowing that its prey has no chance. It makes the film all the more intense and the shootouts more heart-pounding when the villain is legitimately intimidating. Easily my favourite scene in the movie is the first scene in which Manco and Mortimer meet. I won’t get into spoilers, but the stone-cold performances mixed with Leone’s stylish direction and Morricone’s gorgeous score (which is less repetitive and grander than Fistful) make for one hell of a showdown between the two characters we came to know over the first act. While I liked the story in Fistful, I do think that this film is much more engaging and entertaining. 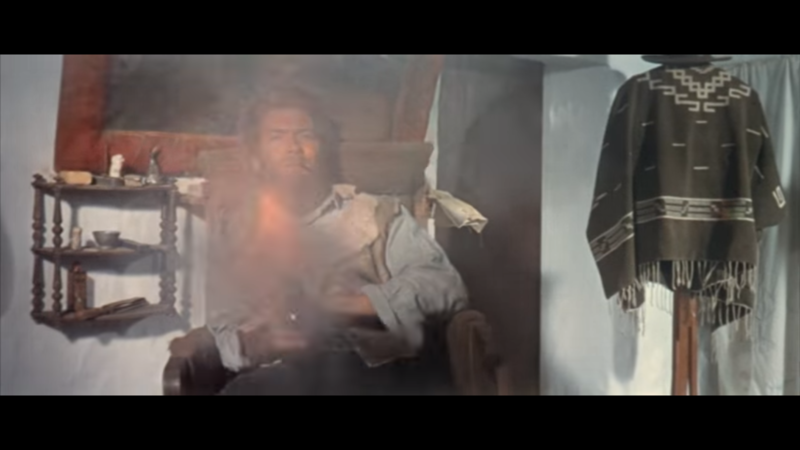 I talked earlier about how I loved the bounty hunter aspect of the film, but I loved the plot of For a Few Dollars More for other reasons. At the end of it all, this is a story about two men drawn together over a common enemy, and, naturally, through the course of their journey learn they’re not too different. It’s easy to see how Manco could one day become Mortimer, though the desire of a simpler life for Manco are shown throughout the runtime. It’s easy to see that perhaps Mortimer once dreamed of a simpler life, where he can retire with money to a farm and no vendettas. It’s hard to say I disliked anything about For a Few Dollars More. The plot moves with such grace, intense moments are frequent and the characters are so well written and acted that it’d be a shame to call it anything more than a masterpiece. I haven’t given anything a five out of five (in my mind, a 5/5 score translates to between 9.5 and 10 out of 10) yet in this series. But things change. If it sounds like I’m gushing about this film… it’s because I am. I well and truly loved this film and will surely rewatch it. NEXT TIME: We finish off the Dollars Trilogy with what is hailed as one of the greatest westerns — and films — of all time: The Good, The Bad, and The Ugly. You can see past episodes of Alex’s Foreign Foray by following this link.